Spray foam is the most efficient and safe product on the market today for insulating and protecting your property. It's also highly popular with home and business owners in the Brooklyn area. 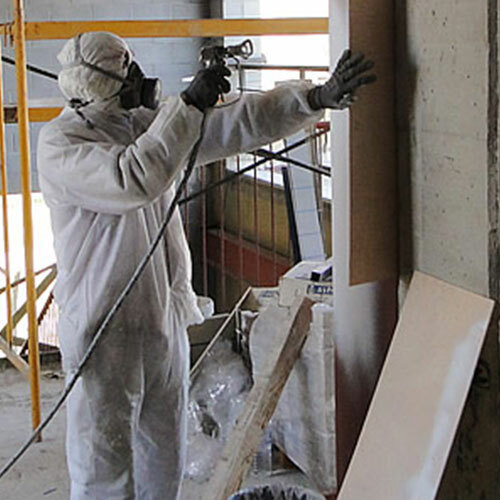 Foam Insulation Solution have been providing numerous services for both residential and commercial properties across New York City, Long Island, and New Jersey. 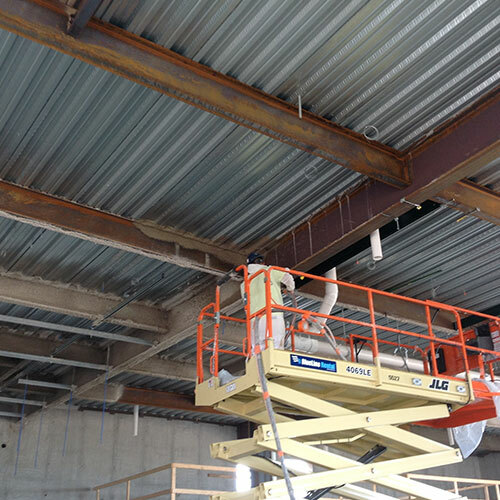 We offer a broad range of services that include soundproofing, waterproofing, and fireproofing as well as insulation services. 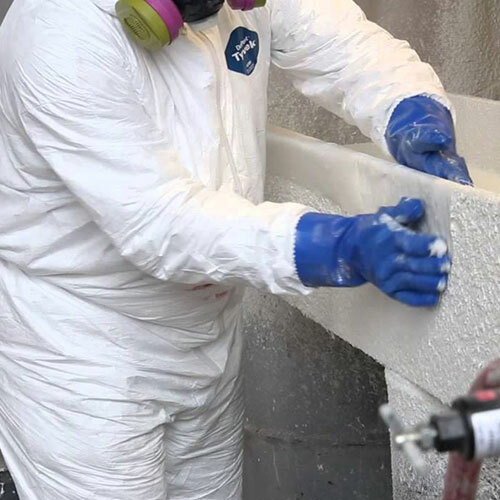 Spray foam expands upon contact. This expansion is useful in tight spaces where corners, floor bases, and ceilings have to be sealed tightly. 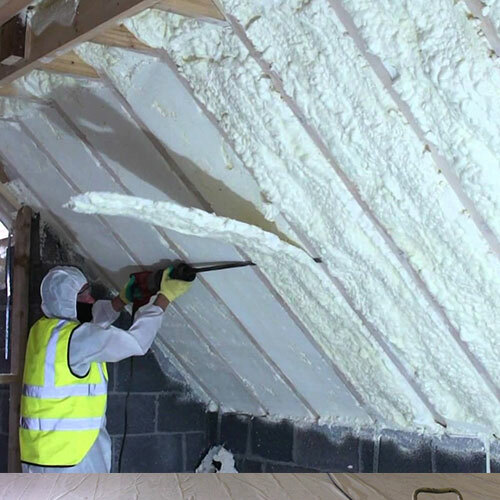 Spray foam's R-value (the capacity of an insulating material to resist heat flow. The higher the R-value, the greater the insulating power) is often at a 6 or higher. 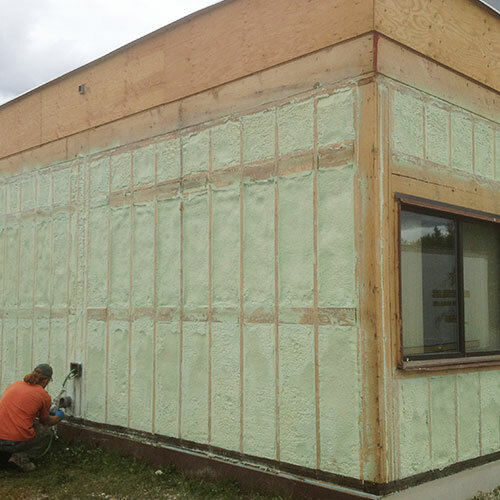 The thick layer of foam along the walls gives it superior insulation capability. Air is not the only element that invades your home. Water and moisture can also creep in through the walls or the floor. Spray foam ensures that your home is water tight. It creates a tremendous amount of pressure against any surface. This pressure does not allow water to pass through. 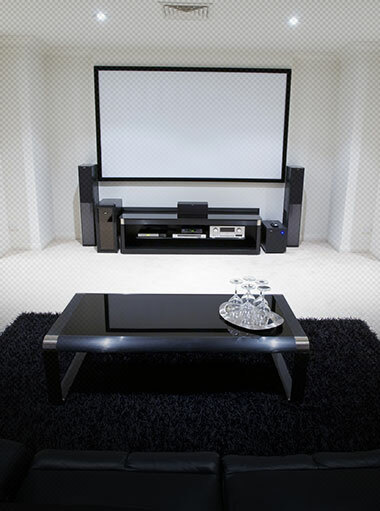 The result is a dry area that is free from humidity, moisture, or mold. 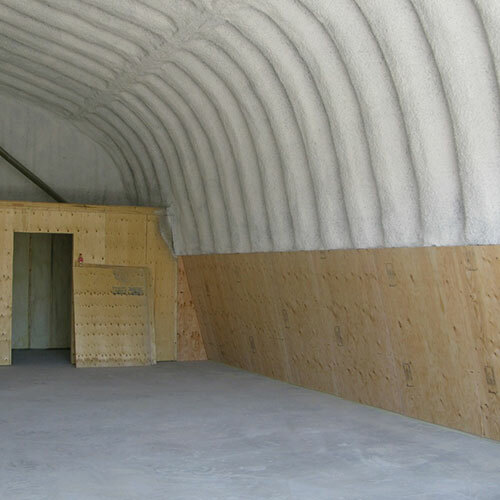 In most environments, spray foam can last as long as the building it's protecting. 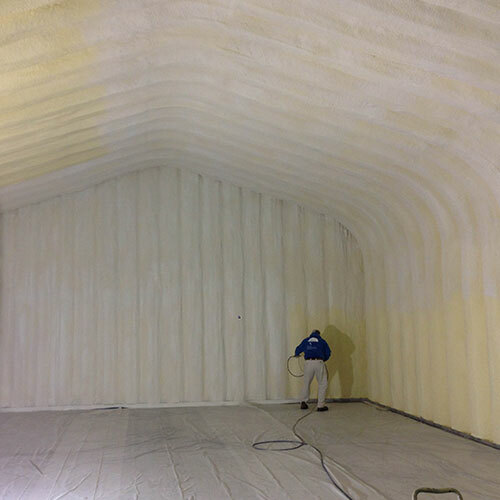 Once spray foam hardens it is powerfully resistant to extreme temperature, moisture, the wind, and other conditions. 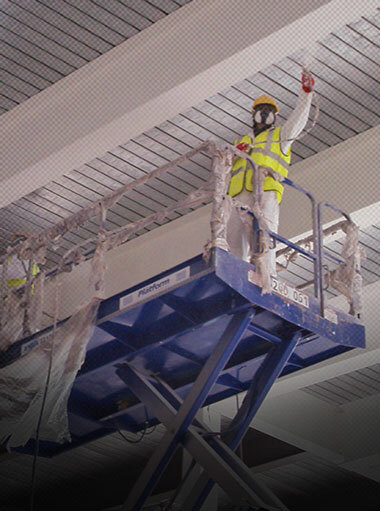 Its longevity makes it ideal for all applications including waterproofing, fireproofing, and soundproofing any building. During its lifetime it will require little maintenance. We suggest an inspection about every 3-5 years. 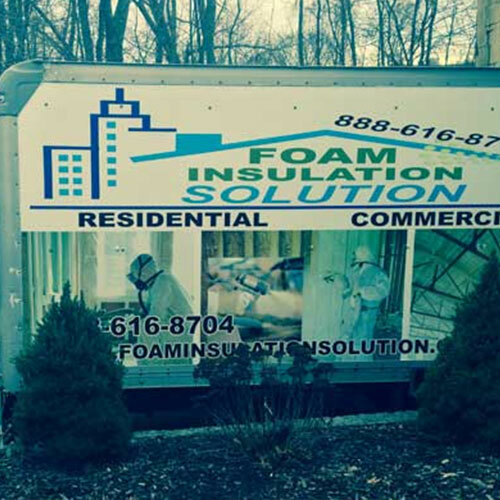 If you need your spray foam, insulation inspected contact Foam Insulation Solutions today. Many property owners today are concerned about the long-term environmental effects of the materials that go into their home or commercial building. 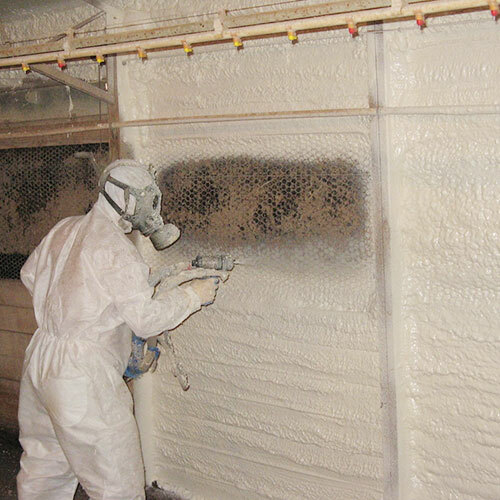 Spray foam is good for the environment and energy reduction. 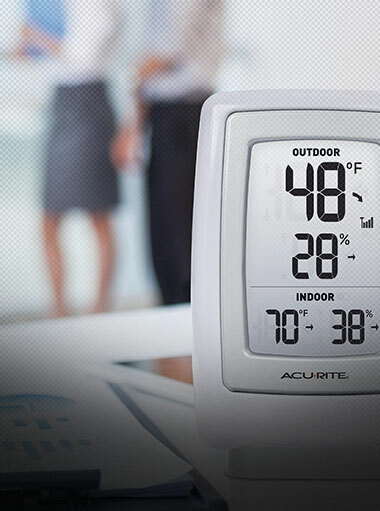 It protects your building from moisture and mold, utilizes fewer consumed materials, and helps reduce energy costs throughout your building's interior. 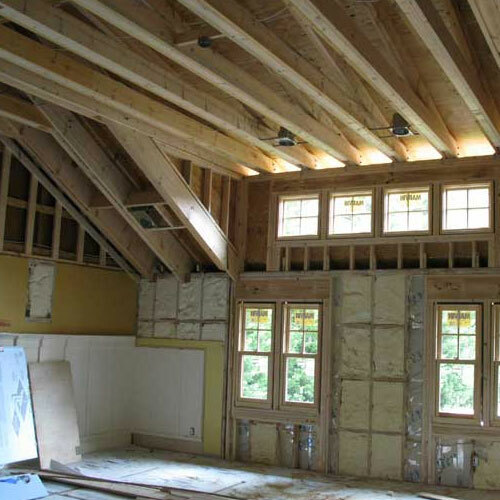 Insulation materials must be installed according to New York and New Jersey building codes. 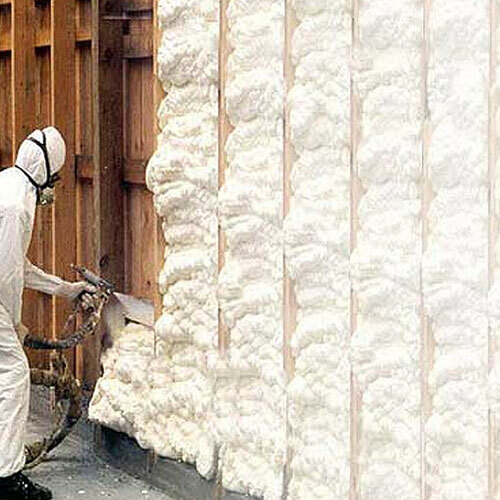 Spray foam is one of the types of insulation that either meets or exceeds those regulations consistently regardless of the building's environment. It meets the minimum fire and protection requirements for attic and crawl spaces for both open and closed foam spray. 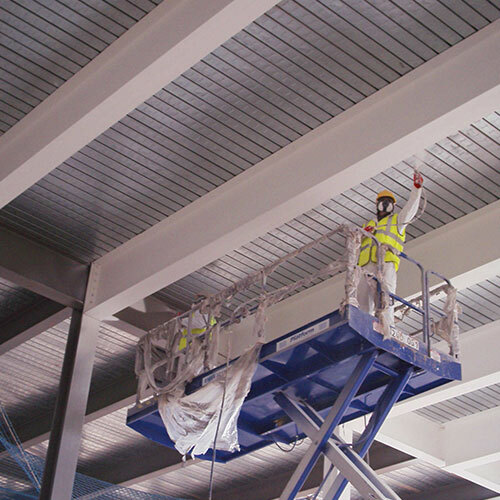 It also exceeds the minimum requirements for air, fire, and moisture resistance. 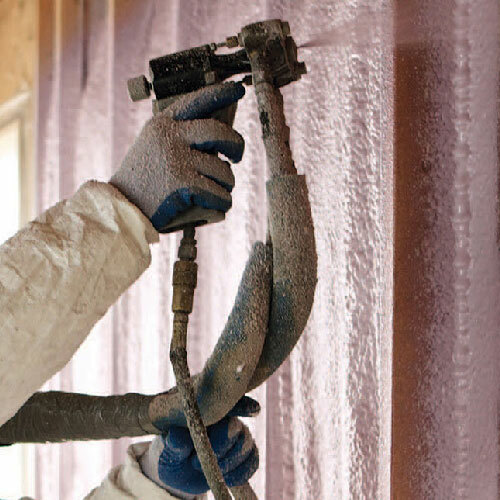 If you have any questions about spray foam and building codes, please contact a Foam Insulation Solution Specialist today. 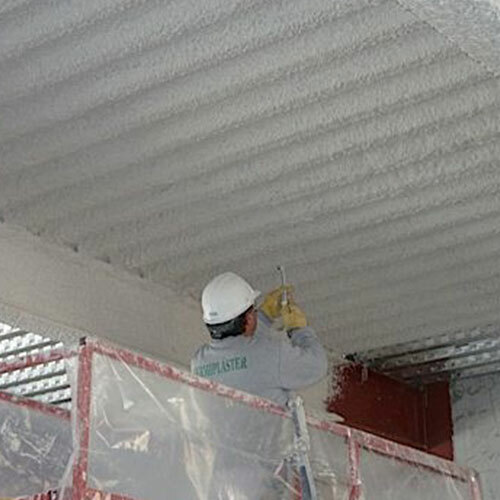 Spray foam fire protectant can be utilized in fire compliant areas of both residential and commercial buildings. Foam has been tested and complies with all New York and New Jersey fire codes. Of all the insulation materials on the market today, it provides the most protection from home and office fires. 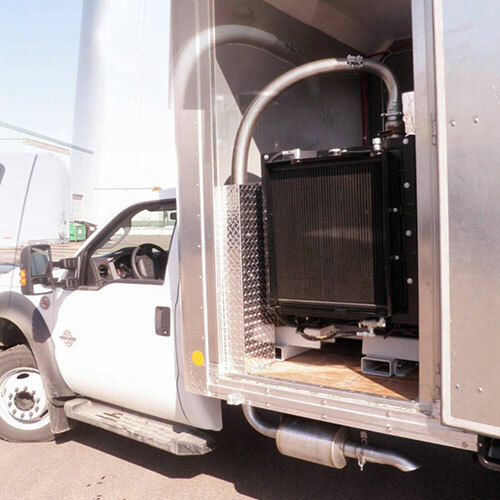 Our goal is to help you create the safest environment possible wherever you live or work. 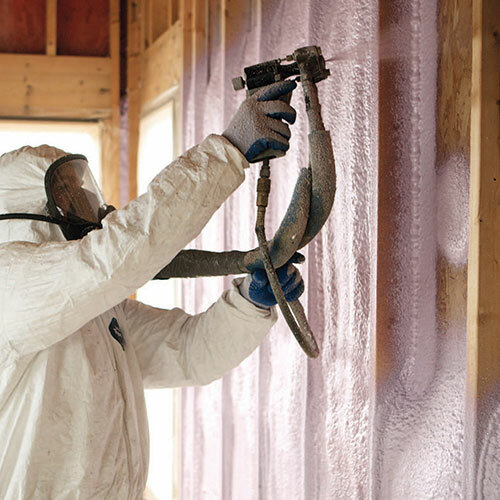 If you are looking at building a new home or business property, or need to re-insulate your interior, then schedule an inspection with Foam Insulation Solution specialists. 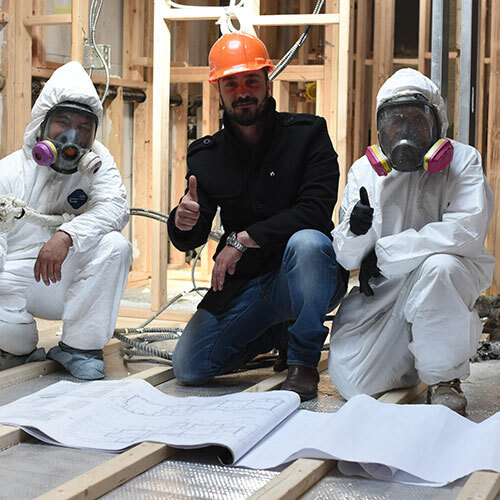 We are dedicated to providing you with the highest level of customer service and quality insulation anywhere in the industry. If you live in an older home and are experience problems with keeping your home at a comfortable temperature or find your are paying higher utility bills then it may be time to update your attic's insulation. 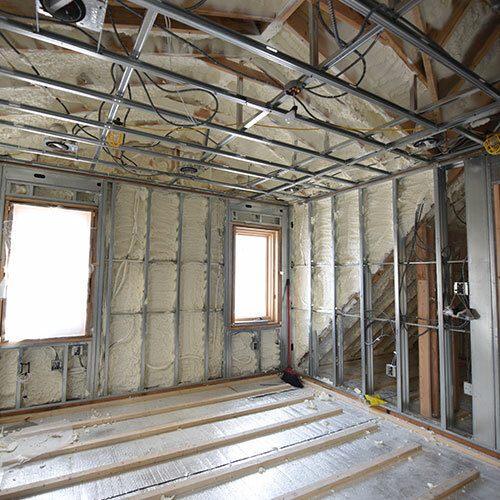 Over time the fiberglass or cellulose insulation can become compressed or shift leaving areas exposed. Mice or squirrels may also get into your attic and use your existing insulation for bedding and even food. 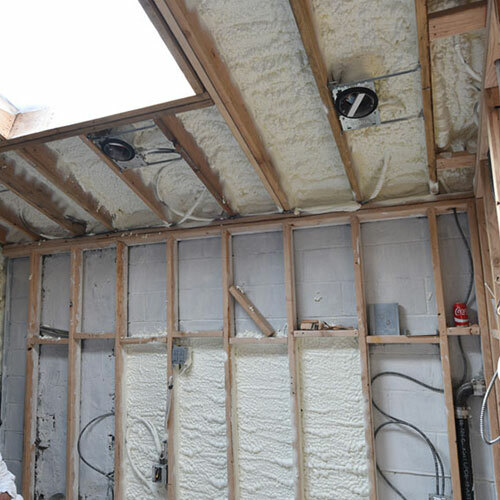 Instead of replacing that fiberglass or cellulose insulation over and over again, why not solve the problem once and forall with spray foam insulation. Spray foam insulation expands and then hardens so it will fill in every nook and crannie and won't shift or thin once it is dry. In addition, foam insulation will block holes and actually prevent mice and squirrels from gaining entrance into your attic. If your home has a crawlspace and it lacks insulation or is under-insulated chances are your home's flooring is cold during the winter months and you are paying more for your heating and cooling bills that you need to be paying. 15% of a building heat loss is lost through under insulated crawl spaces. 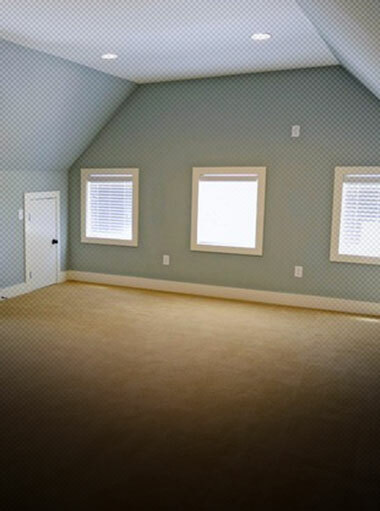 Spray foam is the ideal way to insulate your crawl space. When insulating a crawl space either the outside walls of the crawlspace or the underside of the floor should be insulated. If your crawlspace contains heat ducts then it is best to insulate the outside walls and lay plastic. By insulating the outside walls this will help the heat ducts radiate heat warming your floor. If there are no air ducts in the crawlspace then it is better to insulate the underflooring block off the crawlspace from the floor and keeping the cold from the crawlspace from cooling down your flooring. 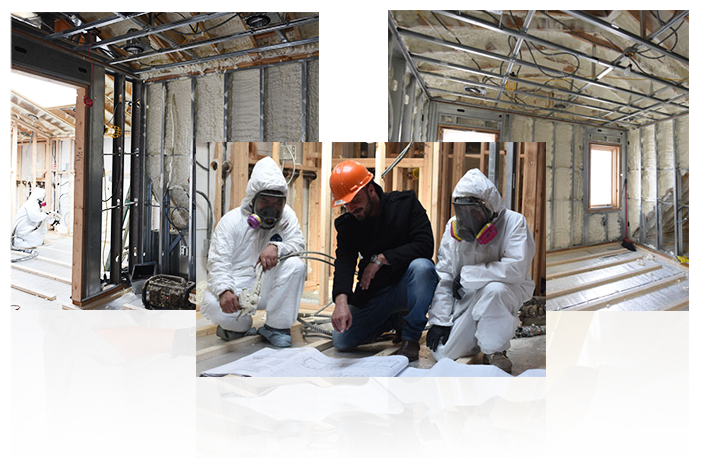 Spray foam insulation is becoming more and more popular for residents both in new construction and existing buildings. 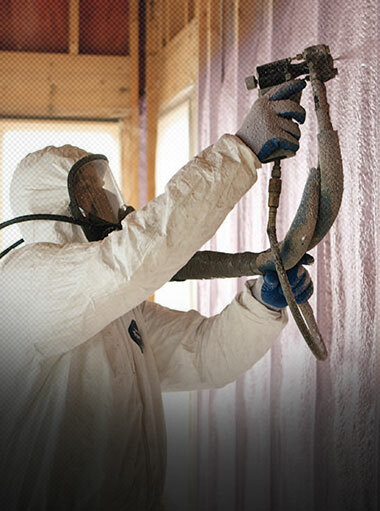 Spray foam insulation is cost effective, dependable and will save on the energy bills. 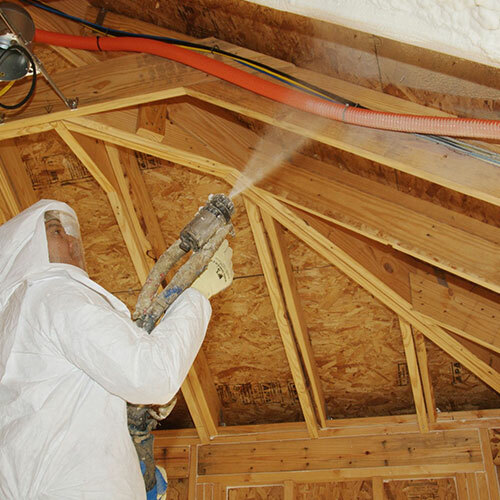 Spray foam insulation will reduce humidity and moisture in your home and it helps to reduce mold and mildew. 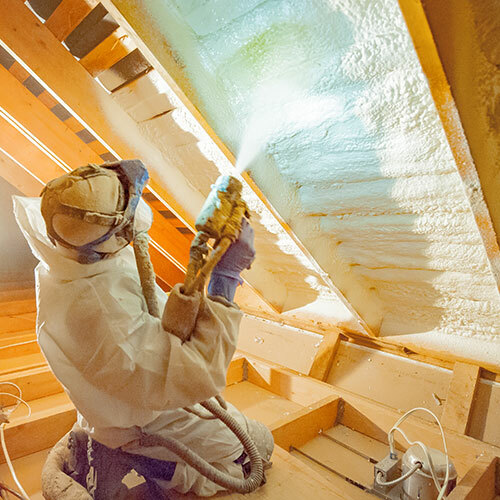 Spray foam insulation expands to fill in cracks and crevices forming a tight seal against changing temperatures while preventing energy leaks. 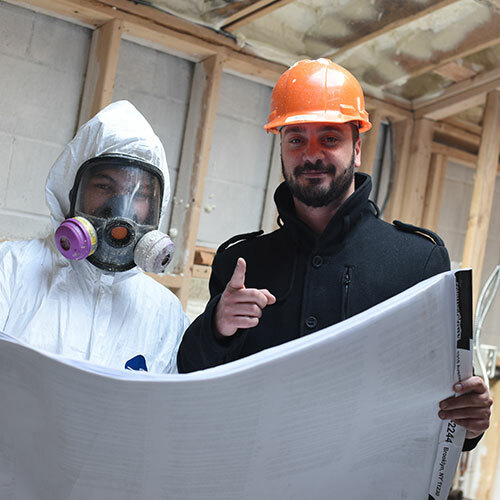 Our professional spray foam insulation experts have the right tools and equipment to apply residential spray foam insulation safely and correctly giving you the most value and benefit for your money. 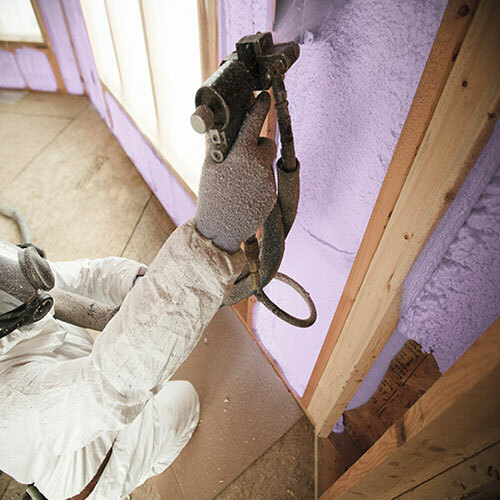 Applying spray foam insulation to residents can pay for itself in energy savings. 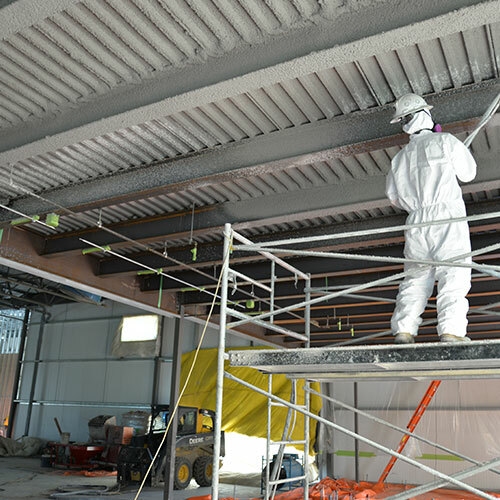 • Improved air quality since spray insulation may prevent dust and pollens from entering your business. 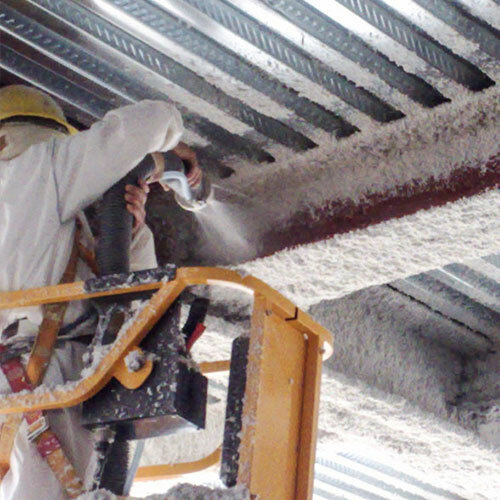 We can apply spray insulation to all types of workshops, warehouses, and agricultural sheds as well as offices and other commercial businesses.